1. 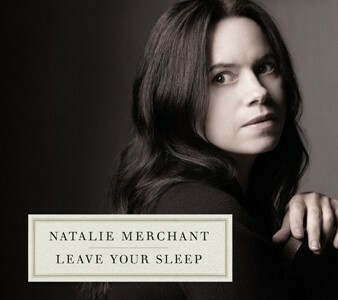 Natalie Merchant has recorded a double album, Leave Your Sleep, containing her own musical settings of classic poems by Mervyn Peake, Gerard Manley Hopkins, e. e. cummings, Charles Causley, Rachel Field, Robert Graves, Edward Lear, Jack Prelutsky, Arthur Macy, Ogden Nash, Charles E. Carryl, Nathalia Crane, Robert Louis Stevenson and Christina Rossetti. I haven't heard it yet but definitely want to. Natalie will be at the Union Square Barnes and Noble in New York City on April 14 for a talk with Katherine Lanpher. 2. Mark Haddon, author of The Curious Incident of the Dog You Know The Rest (a book I liked) has written a play now being secretly produced and opening soon, called Polar Bear. It seems to be another psychological foray, and that's all they're saying. 3. Very much looking forward to Dreams in a Time of War, a memoir by the great Ngugi wa Thiong'o. 4.The new television version of Ramona and Beezus is not the first attempt to televise Beverly Cleary's classic Ramona and Beezus Quimby characters (not to mention Henry Huggins and Ribsy, who always get forgotten). I had a strange run-in way back in 1988 with some of the Public Broadcasting System producers involved with the first version, and I wrote about it here. Anyway, here's a preview of the new show, and here's my first reaction to the preview. 5.I like Nina Maria Kleivan's odd baby photo project, which involves dressing up babies as dictators like Stalin, Saddam and Mao. "Oh my god, she dressed a baby like Hitler". Relax. 6. Why Words Without Borders? 8. In the Swinging 1960s, Barry Miles was what is now called a "connector". 9. Last Gasp Books is having a big party on April Fools Day. 11. Literary Photoshop, featuring "Airbrush Memoir", "Clone Plot", "Transparent Metafictional Overlay". Nice. 3 Responses to "Like The Weather"
When a Buddhist says Ommmm, don't think twice, it's alright! Don't know about adding music to an art form that requires pretty total attention to the language. But I'm glad to hear of Katherine Lanpher, whom I lost track of after she left Al Franken's radio show on Air America.